You will learn some important tips and guidelines on how to enhance the power of your brain by doing more of certain activities and avoiding some. Researchers have discovered that different parts of the human brain affects different kinds of decision making. “A riveting look at the birth of a new science.” —Daniel H. Pink, author of Drive When he was eight years old, Dan Hurley was labeled a “slow learner” because he still couldn’t read. Three years later, he had become a straight A student. In this extraordinary follow-up to the critically acclaimed The Lucifer Principle, Howard Bloom-one of today's preeminent thinkers-offers us a bold rewrite of the evolutionary saga. When you pay attention to one item at a time, you can accomplish what you set out to do. Discipline your mind to stay focused and achieve your goals. Use your mind as a tool for success! 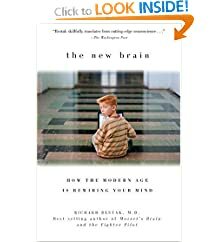 In The New Brain, neurologist, neuropsychiatrist, and bestselling author Dr. Richard Restak tells how technology and biology are converging to influence the evolution of the human brain. 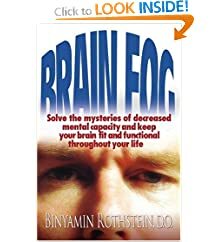 As a pioneer in his field, Dr. Binyamin Rothstein has developed an indispensable resource guide to the workings of the brain and how you can maintain a sharp and clear mind throughout your life. 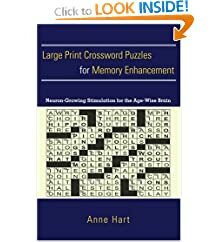 Solve these puzzles to enhance your memory at any age. Or design your own puzzles based on your interest in a specific subject area or using general knowledge.